Visit our online pharmacy to order your pet's medications at your convenience. Wilhite and Frees Equine Hospital is a full-service equine hospital that offers routine medical, dental and surgical care as well as emergency treatments. With years of experience providing general wellness care and treating serious conditions. Wilhite and Frees Equine Hospital's doctors and the trained technicians are available day or night for emergency services. They can also provide you with nutritional and illness-prevention tips that enable you to better care for your horse and ensure his or her optimal health. 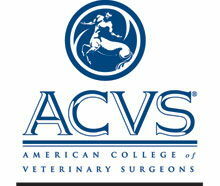 Dr. Frees earned his DVM degree in 1997 from the University of Missouri College of Veterinary Medicine. He completed a 1-year internship in equine medicine and surgery at Rood and Riddle Equine Hospital in Lexington, Kentucky and a 3-year residency in large animal surgery at Kansas State University in Manhattan, Kansas. Dr. Katie Haukos grew up in Lubbock, Texas where her dad got her involved in horses at the age of 5. She started in Walk/Trot classes and moved up to competing in Hunter/Jumpers in the American Quarter Horse circuit. She was a member of the NCAA Kansas State University Equestrian Team and it was at KSU where she received her Bachelor Degree in Animal Sciences with a Minor in Biology in 2013. Dr. Trahan was raised in southwest Louisiana and acquired his Doctorate of Veterinary Medicine from St. George’s University School of Veterinary Medicine in 2013. Following graduation, he completed an extended internship in equine medicine and surgery at WFEH. He finished a 3-year residency in large animal surgery in 2017 at the Virginia-Maryland Regional College of Veterinary Medicine in Blacksburg, Virginia.